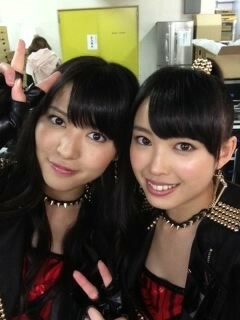 ▪℃-ute member Nakajima Saki posted this 2-shot of her and Maimi in the “Crazy Kanzen na Otona” threads in her update on the ℃-ute blog today. 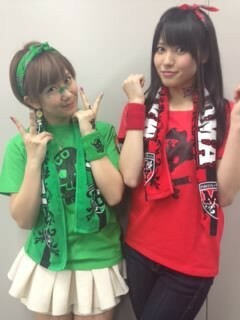 ▪℃-ute member Okai Chisato also shared a 2-shot with Maimi in her blog update, but this time the girls were showing off some of the goods from their upcoming tour. Posted on April 16, 2013, in Articles and tagged Nakajima Saki, Okai Chisato, Yajima Maimi. Bookmark the permalink. Leave a comment.